Put an ocean accent in your jewelry designs with this octopus charm from B&B Benbassat. This three-dimensional charm is shaped like an octopus and features a post at the center for attaching a half-drilled pearl. This holder works best with 10mm or 12mm half-drilled pearls. Attach your desired pearl with adhesive and gently fold the tentacles of the octopus down around the pearl. A loop at the top of the octopus makes it easy to add to designs. This charm features a versatile silver shine that will work with any color palette you have in mind. Note: the pearl is not included. Enhance designs with the beauty of nature using the 24x6mm sterling silver branch with leaves charm. This thin, wavy branch charm features small leaves on both sides. The leaves feature a cut-out design, for extra fun. A small loop is attached to the end of the branch, so you can easily dangle it from designs. Use it in earrings, necklaces or even bracelets. This charm features a bright silver shine that is sure to catch the eye. Regal sea style fills this B&B Benbassat octopus charm. This three-dimensional charm is shaped like an octopus and features a post at the center for attaching a half-drilled pearl. This holder works best with 10mm or 12mm half-drilled pearls. Attach your desired pearl with adhesive and gently fold the tentacles of the octopus down around the pearl. A loop at the top of the octopus makes it easy to add to designs. This charm features a luxurious golden shine that will add sophistication to any look. This heavy gold electroplate is 2.5 microns thick, which looks more like solid gold and lasts longer than decorative plating. Your designs can be hopping with cute style when you use the 15x12mm antique silver-plated pewter bunny charm. This charm is shaped like a rabbit crouched down as if ready to spring into action. The back of this charm is plain. An open loop is located at the top of the bunny's head, so this charm can be easily attached to bracelets or even earrings. Use it with pastel colors for a spring-themed project. This charm features a silvery shine, so it's sure to work with any color palette. Add an accent of ocean style to designs with this octopus charm from B&B Benbassat. This three-dimensional charm is shaped like an octopus and features a post at the center for attaching a half-drilled pearl. This holder works best with 10mm or 12mm half-drilled pearls. Attach your desired pearl with adhesive and gently fold the tentacles of the octopus down around the pearl. A loop at the top of the octopus makes it easy to add to designs. This charm features a rich brassy gold color full of vintage appeal. Keep your looks meaningful with this tree of life charm from B&B Benbassat. This charm is circular in shape with a cut-out design of a tree with many branches. This iconic tree of life look is great for nature-inspired looks and can also symbolize eternity and growth within designs. The small loop at the top makes it easy to add to designs. Showcase this piece in earrings, try it at the center of a necklace, or add it to a meaningful charm bracelet. It features a brilliant silver shine versatile enough to work with any color palette. Show off a loving style with this charm from B&B Benbassat. This charm features a simple heart shape with a hammered texture for added dimension. The loop at the top of the charm makes it easy to slide this heart into any look. Showcase it at the center of a delicate necklace, add it to a charm bracelet, try it in earrings, and more. It would look great paired with red and pink tones in a Valentine's Day look. The versatile silver shine will work with any color palette you have in mind. Try a western look in your designs with the 8x7.2mm sterling silver horseshoe charm. This charm is shaped like a horseshoe, an iconic symbol of luck and country life. The front is detailed and textured, while the back is smooth and plain. A small loop is attached to the center of the curve on the horseshoe. Use it in necklaces, bracelets and earrings. This small charm is sure to add a hint of style to your designs. This charm features a stunning silver shine. You'll love the versatile look of this tree of life charm from B&B Benbassat. This charm is circular in shape with a cut-out design of a tree with many branches. This iconic tree of life look is great for nature-inspired looks and can also symbolize eternity and growth within designs. The small loop at the top makes it easy to add to designs. Showcase this piece in earrings, try it at the center of a necklace, or add it to a meaningful charm bracelet. It features a regal golden glow that will add warmth to any style. This heavy gold electroplate is 2.5 microns thick, which looks more like solid gold and lasts longer than decorative plating. When you use this peace sign charm in your jewelry you will bring a groovy feel and brilliant shine. This simple charm displays a traditional peace sign symbol with a bright silver shine. Its raised shape will help add dimension to any design, and its lightweight feel is perfect for any type of jewelry. Mix and match it with other nostalgic pieces for a fun idea full of cool flair. Decorate designs with the B&B Benbassat sterling silver Gerber daisy charm. This charm features a flower shape with ten pointed petals. The cut-out filigree design features a granulated surface full of texture and shine. This charm domes upward slightly, so it's sure to stand out in your projects. The back is plain and smooth. A loop is attached to the top of the charm, so it's easy to add to designs. Use it in earrings, necklaces or bracelets. It features a versatile silver shine that will liven up any color palette. For a sweet look, try this heart pendant from B&B Benbassat. This pendant features a simple heart shape with a cut-out filigree design adding swirling beauty. A loop is attached to the top, so you can easily add this pendant to designs. Use it as a charm in a bracelet, try it at the center of a delicate necklace, or incorporate it into earring styles. There are so many ways to use this pendant. It features a gleaming gold color full of luxury. Make your jewelry stand out when you use this B&B Benbassat charm. This small charm takes on the shape of a feather, complete with beautiful details on the front. The back of the charm is plain. A loop is attached at the base of the feather so it will dangle nicely in designs. This is the perfect charm to stock up on and layer together in designs. It will work well in tribal styles, boho jewelry, and more. It features a versatile silver shine, so you can pair it with any color palette. You can create a bohemian look with the 12.8x5.5mm sterling silver feather charm. This charm is shaped like a bird feather. The front is full of detail and the back features a recess of the design. This charm is small, so use it as a hint of style anywhere. It will work in necklaces, bracelets and earrings. This charm features a versatile silver shine that will work anywhere. Put an elegant touch on your designs with this B&B Benbassat pendant. This pendant takes on the shape of a horseshoe with a cut-out filigree design full of swirling beauty. Each end of the horseshoe features a loop, so you can easily add this pendant to your designs. The bottom of the pendant features three loops, so you can dangle tassels, chain, charms, and more. You can showcase this pendant at the center of a necklace or try it in chandelier earrings. It will create a nice shape in your jewelry designs. It features a versatile silver shine that will work with any color palette. This charm from B&B Benbassat is perfect for any beach theme. This three-dimensional charm is shaped like a spiraling spindle shell full of texture and detail. You'll love pairing it with other shell components, sand dollars, starfish, and more. It's small in size, so you can use it in necklaces, bracelets, and earrings. It will make a wonderful dangle anywhere. The loop at the top makes it easy to add to designs. You'll love the versatile silver shine, too. Put an earthy element into your designs with the 24x6mm antique silver-plated brass branch with leaves charm. This thin, wavy branch charm features small leaves on both sides. The leaves feature a cut-out design, for extra fun. A small loop is attached to the end of the branch, so you can easily dangle it from designs. Use it in earrings, necklaces or even bracelets. This charm features a versatile silver shine. For a fun beach accent, try this seahorse charm from B&B Benbassat. This small, flat charm takes on the shape of a seahorse complete with a curving tail and cute details decorating the surface. The back of the charm is plain. A small loop at the top of the charm makes it easy to add to designs. You'll love adding this charm to designs along with other sea life-themed components. Try it in necklaces, bracelets, and earrings. 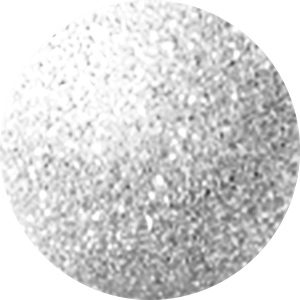 It features a bright silver shine that will complement any color palette you have in mind. Give your designs a hint of the beauty of nature with the 8.5x6mm sterling silver ivy leaf charm. This small charm features a simple leaf shape. The front features details of the veins and stem. The back is plain. This charm is slightly domed, so it will stand out more. A small loop is attached to the stem, so you can easily add it to designs. Add it to earrings, necklaces and bracelets. This charm features a versatile silver shine that will work with anything. Dangle some floral fun in your designs with the B&B Benbassat sterling silver daisy charm. This charm features a daisy with cut-out filigree petals attached to a stem and leaves. The back of this charm is smooth and flat. A loop is attached to the top of the stem and leaves, so the flower will dangle cutely in your designs. Use it in necklaces, bracelets or even earrings. It features a versatile silver shine that will liven up any color palette. For a mesmerizing display of style, try this B&B Benbassat pendant. This pendant takes on the shape of a crescent moon with a cut-out design of triangles. Each point of the crescent features a loop, so you can easily add this pendant to your designs. The bottom of the pendant features three loops so you can dangle tassels, chain, charms, and more. Showcase this pendant at the center of a necklace for a unique bohemian look. It features a versatile silver shine that will work with any color palette. Get creative when you use this hammered rings pendant. This cool piece is comprised of three thin rings in varying sizes, all textured with hammered detail. The three rings fall in ascending order for a cool display and are all attached to a single oval-shaped ring. Use this pendant in a necklace as a fun focal or even as a cool earring idea. Add a wonderful accent to your jewelry designs with this tree of life charm from B&B Benbassat. This charm is circular in shape with a cut-out design of a tree with many branches. This iconic tree of life look is great for nature-inspired looks and can also symbolize eternity and growth within designs. The small loop at the top makes it easy to add to designs. Showcase this piece in earrings, try it at the center of a necklace, or add it to a meaningful charm bracelet. The brassy gold shine will bring a regal touch to any look. Celebrate sea-worthy style with this B&B Benbassat charm. This charm takes on the shape of a scallop shell complete with a ridged texture. It's sure to make a statement in your jewelry designs. Showcase it at the center of a necklace, dangle it in earrings, and more. The loop at the top makes it easy to add to designs. Pair it with other beach-themed items for a look inspired by the ocean. It features a versatile silver shine that will work with any color palette.